The highs and lows of my conference going weekend.... but first. Did y'all notice I misspelled a word in my last post and not at all on purpose? Well I did but it's all been corrected now. In fact the word was so very misspelled that it took on an entirely different meaning and in an entirely different language. I didn't even know that I speak French. Here's the spelling portion of today's post. The word adieu - happens to be sort of French and means to say good bye. It DOES NOT mean what I thought it meant. The word a-do means what I thought the other word meant. Or the other word means what I thought this word means. But either way it means to make a fuss or trouble. But y'all are so very kind and no one said a darn thing to me about it. Then I got embarrassed because of your kindness and felt like I needed to confess that I now realize the seriousness of my mistake and that I will use the dictionary whenever in doubt from here on. 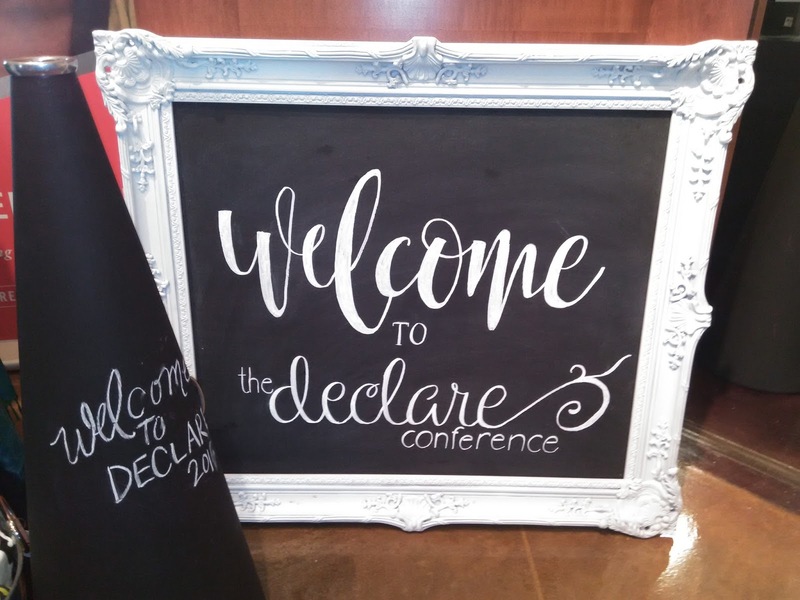 I spent Friday and Saturday at The Declare Conference 2016. And I started to sweat the entire thing as early as Thursday morning at work. Because THAT is just who I am and what I do. Were you in class that day about 8:30 ish when I sounded like I need to do more cardio and I could hardly breathe? That's because I was in talks with a panic attack about that time. The whole thing was weird and I felt a little bit awful for about an hour. Then I came home and stressed about what to wear to a thing where I would be surrounded by hundreds of women who would probably be all adorable and fancy. My priorities were clearly misplaced in this whole deal. And trying to step out on faith, I decided to drive to Southlake Friday morning. Because according to the conference info... some people who don't know better actually consider that part of the world to be Dallas. Which let me tell you, it is nowhere near Dallas - and it took me over and hour and a freeway meltdown to arrive at my destination. I totally should've chosen UBER and waterproof mascara. I left the house about 7:45 and somewhere around 8:15, check my phone records for time confirmation, I called Fireman Dave who was at home by the phone ready to assist in any way possible. But only by phone because he could do nothing but listen to me cry on speaker phone when I took the wrong exit and headed north toward Denton for a ways and then pulled over into the parking lot of an abandoned carpet and tile outlet to call home. And scary traffic zoomed all around me and there was construction everywhere and I had no idea the freeway had so many choices. Because my world is very sheltered and very small. And I told him that I knew I couldn't do this. Because that's what I had been telling myself all along. Even my mind knew it as early as Thursday morning. And I got there kinda frazzled and stood in the back of the room for a bit till I found a chair to sneak into. Then I cried again because #1 - I was thankful I didn't die on the freeway, and #2 - I was overwhelmed at doing something different, with different people, and in a different place. And #3 - I tend to listen to the wrong voice. I love the story of David and Goliath... when David is nothing but weakness in a skirt but he faces the giant like nobody's business. I'm not like him. I'm like the other guys standing around listening to the wrong voice - the voice that says I can't do things that require strength and courage and faith. The voice that all too often yells louder than the voice of God that is so quietly whispering for me to at least give it the old college try. So I wrapped up Friday night exhausted and I would've totally driven home to love on my people had I not been all glassy eyed and still in shock from the freeway trip earlier in the day. But miracles happen all the time and everywhere, in my case in the form of complimentary valet parking and a private Hilton Honors member lounge to greet me upon my arrival at the hotel. Thank you Fireman Dave for knowing me so perfectly well that you took care to provide even from semi far away. Here is my hotel selfie that I took to send to Kid 3. Who happens to be a lover of all things hotel. This was to show him my bed that I had no plans to share.. and the cookies that were all mine. I should've taken a picture of the bathroom that I had no plans to share. And I spent the better part of Saturday in classes as well. But home was calling my name. I think over the two days, I learned a lot about writing and speaking and deciding what's important for me and the blog. And sadly, I learned that there may or may not be a market for the things I write about. And I learned that there are a million other women out there who are doing the same thing as me - but with more of a passion for the business side of blogging than the love side. That lesson kinda hurt my heart. But what I learned most was that I missed my family. And that even for that little bit of time away from them, doing something where they weren't playing a part, felt as lonely as I have in a long time. I also learned to specifically request vegetarian meal options before hand when attending such an event. I swear this was a women's event but not a salad in sight. 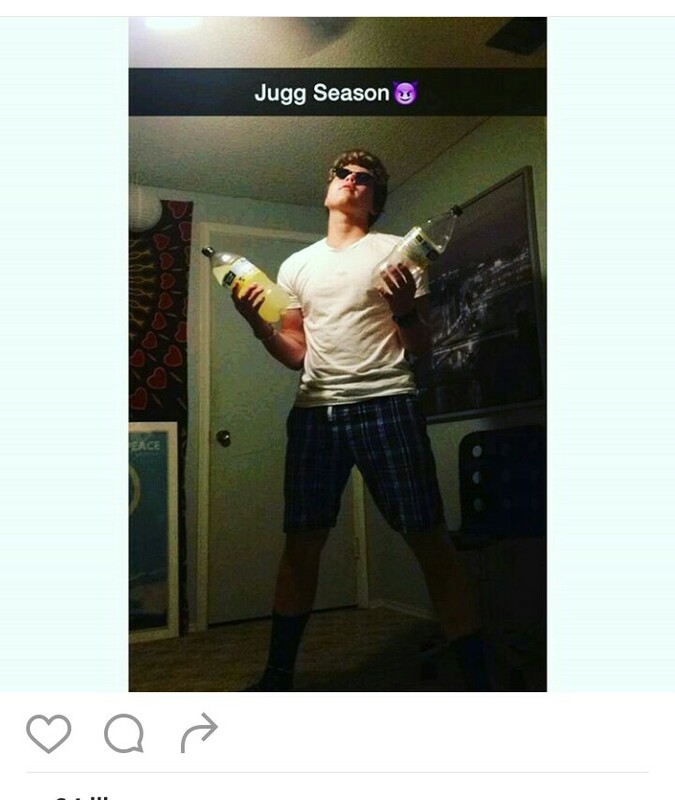 Talk about crazy. And I learned that sometimes people will tell you that your story is too small to make a difference to many. And I learned that I'm still gonna do it anyway. And I learned that though I love to write, I mostly love to write about the things and people that I love. And if they can't be my topic and focus and the characters of my stories, then the stories aren't worth telling. I'm glad I went. And it was such a gift for me to have the opportunity. And I'm glad to have a better perspective of the more serious side of blogging. But y'all, I'm in it for the love of a good story. My story. And no matter what I learned this weekend, I'm reminded that I'm the only one with THIS story to tell. And I'll keep on praying about how all that's supposed to turn out. post script: The panic thing... those things are few and far between for me now, and I can usually get through it without a lot of fanfare, but it's totally hard to panic breathe and teach step aerobics at the same time. But in case you were worried, I promise I'm still in excellent cardiovascular shape and can teach the heck out of a step class - I just need those demons to please wait till I'm finished with work next time. post post script... typos and misspellings courtesy of my lack of a fancy editor. Do you ever get so fed up with mankind that you want to run away and live with the apes? Every time I think I don't have another story to tell, life shows up and says that I do. Here it is, weekend edition. Yesterday I saw more naked in a 10 minute time frame than I could've ever seen had I purchased a publication geared toward such subjects. But why on earth would I when I can just stand in my own kitchen and wait for the parade to pass by? It all started with Kid 2 running wildly from the shower after he spotted a giant roach that he claims crawled out of the faucet. Which prompted an entirely different conversation between me and Fireman Dave as to how he might remedy that problem. Then came naked Kid 1, but an angry and naked Kid 1, because he wanted to take a shower but apparently Kid 2 and the roach used up all the good water. And of course there were no towels because all those wet ones that have been piled on their bathroom floor forever are probably where the roach has made his summer home. And the dog got very sick again and life just isn't fair. But we think we caught it early this time and Fireman Dave has become a near expert in dog lV treatments so she's in good hands. Her name is Rita is you're of the sort to pray for dogs. Do you ever get so fed up with mankind that you want to run away and live with the apes somewhere in a jungle because everyone knows apes are a species far more inclined to be kind, obedient, and not say mean things to each other? At least that's what I imagine being an ape might be like in the beautiful jungles of South Somewhere. I imagine all my little baby apes would clean their room, take out the trash without being told and not tell me that I don't need to be eating that piece of cake. But in reality, left to their own devices, I think all (my) men would just sit around in their underpants, surrounded by dirty dishes and empty chip bags waiting for the dishwasher to unload itself. I've conducted more than enough research on this subject to substantiate my claims. The last two days have been One of THOSE days kinds of days. People at work have been unmotivated and grumpy,...wait, maybe that was me. And they think a song is about one thing when it's totally about something entirely not what they said. And I broke a nail. And my water bottle spilled gallons of water all inside my gym bag which happened to contain my only dry clothes and all sorts of intellectual property - a.k.a, class choreography, plans and pretty much everything I need to succeed. So I hung my work up to dry in the laundry room at the exact same time I was fussing at Kid 3 for his lack of ability to problem solve. To be more exact, I believe with all my heart that an almost 13 year old boy should be able to hang up an ironing board on the wall without making a mockery of the entire ironing board storage rack design. And now you're reading this blog wondering when it becomes inspirational and encouraging. You're probably not the only one. For me, I think that can only happen when I write the true stories of an everyday family living with a sensitive stomached dog .... and how our ordinary can become so much more when offered up for God's glory. I pray every time I sit down here to write that someone will read these words and feel less alone, less frustrated, and maybe even a little bit encouraged in the way normal things - the good and bad, the boring, ordinary, and the plain... can be turned into something beautiful in the right hands. God's, not mine. 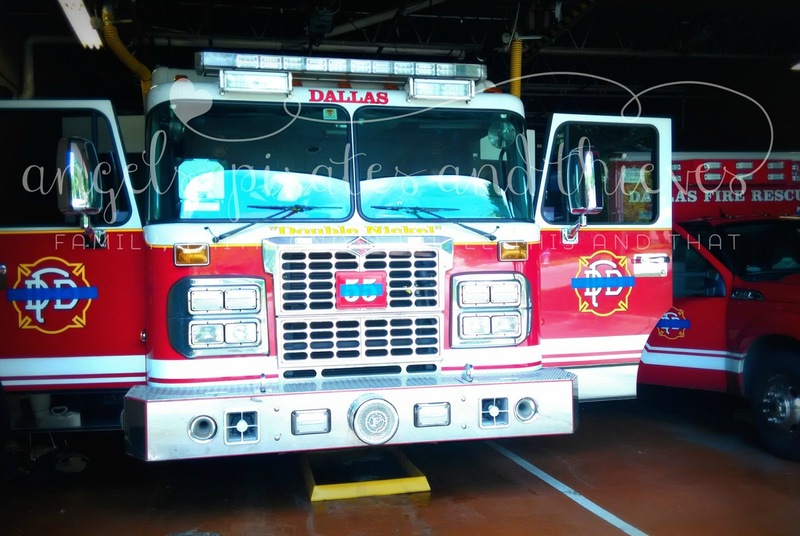 Y'all, this is serious business.... it seems Fireman Dave is still in denial over the blog. True story, but that's just between you and me. Just yesterday as we discussed the similarities between him and Sheriff Taylor of the Andy Griffith show, he expressed to me very strongly that he believes I've created an entirely different blog character of him. I told him I retain all creative rights. Maybe because he sees events and words exactly as they happen. But I prefer to see what can become of things when turned into a story - a story told through an entirely different set of eyes. The eyes of a person who has earned this sense of humor by walking down a whole lot of not so funny roads. Y'all, it probably wasn't the days this week that were bad. I'm the one who's been out of sorts lately. Water retention jokes aside, I've been irritable, short tempered, and jealous. I've said things quickly that I wish I could take back. And I've thought even more of the same. And I've all too often found myself in the position of questioning - the what if types, mostly. But the good news about that is that I can't think of a single Bible story where God asks us to bring him our fancy. Or our 100% correct. Or even our successes. I can, however, think of a few times when we are asked to bring our disappointments, heartaches and fears. And our best. God seems to adore our best - whatever that may be. And here's some more good news .... and I'm very excited. 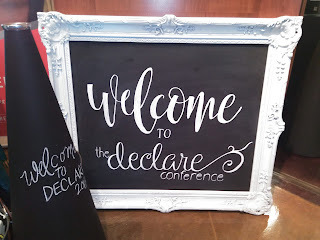 I get to attend my very first blogging conference later this week. Did you even know there was such a thing? Well, yes there is and it involves food and learning and me possibly taking my very first UBER transport to the location since I will certainly get lost on my own. And I am absolutely convinced that this opportunity is a gift straight from Heaven because I won the ticket to the conference. You read that right! I won! You can read about that right here. I'm thankful to get away for a couple of days. I'm excited to learn and be surrounded by other writers and speakers who are offering their plain and ordinary up to the glory of God. The boys think it's just fascinating that I get to stay in a hotel all by myself. If they only knew that I kinda think so too. post script... I know absolutely nothing about apes. Let me just say that this week has been a size large CRAZY with a side of I need a nap. And let me promise you that I would much rather be chatting with you on here than what I've actually been doing. Like today when I almost got run over in the Lowe's parking lot by an old man in a truck trying to park in the handicapped space. And I just wanted to exchange my caladium plant for a more sun loving variety. 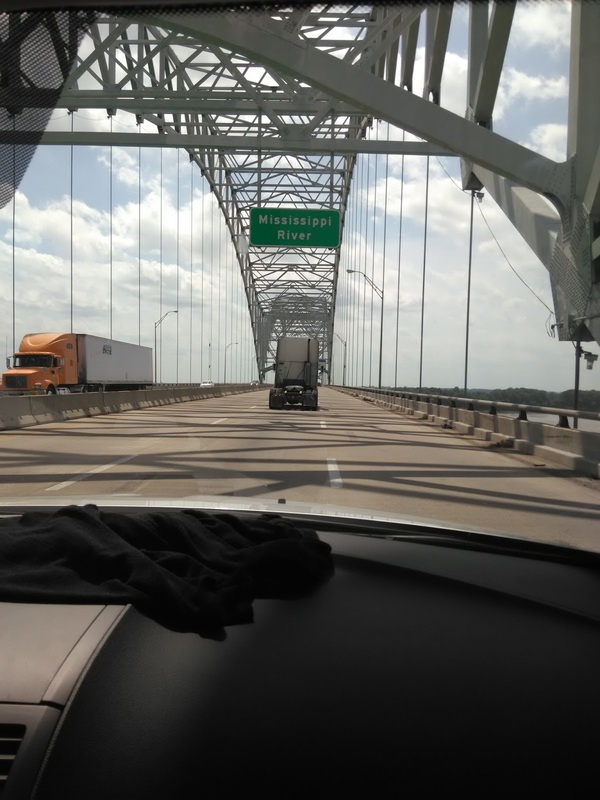 Now, with no further ado ... here' s a little run down of our cross country drive last week. Otherwise known as vacation. The trip was planned to be a trip for two - meaning me and Fireman Dave, while the boys went to church camp. And we spent some time debating over Nashville or New Orleans but The Grand Old Opry is something I've always wanted to do. So it won. And we were ready, set, go... till 2 days before our trip when I got a call from the church and found out that Kid 3 was not going to be allowed to go on the youth camp trip with his brothers. And yes, I know. Kid 3 is approximately 6 weeks from officially being a part of the youth group, but I didn't think it was any different than other kids inviting a friend on the trip. Till I got the call that it was. It seems there may or may not have been a couple of unhappy mothers who didn't enjoy the idea of Kid 3 going on the trip if their own kids couldn't have the same privilege. But it was told to me with a smile and just the faintest nod toward sincerity - which made me bite my tongue and dig deep for grace. Translated loosely to mean I had to pray to be nice. And praise God it worked. So we bought Kid 3 an airline ticket to join us, for the low, low price of $2 million last minute booking fee dollars. And we sent brothers off for a week of adventure while we headed out in the wee hours of the morning, as Fireman Dave always enjoys on trips, to the airport in the world's worst lightning storm. I feel confident it was history making. But I think we were the only ones awake to see it. Anyway it delayed our flight so very much that we missed our Atlanta flight connection and decided to take matters into our own hands and ask for a refund. Then we took off driving and made it to Memphis by about the same time our flight would've landed in Nashville. Fireman Dave got us a room at the downtown Memphis Sheraton which is now a favorite of mine, and also that of my new acquaintance, Homeless Betty - who met me at my car door by surprise and showed me her very nasty and infected spider bite and a tube top that needed a little tighter elastic around the bust line. And she asked for money and then asked for more, specifically $3 more because she obviously has a background in sales. Then she told me how pretty I was. Which I would've loved to hear had it not been a dishonest twisting of the truth - because I know what I looked like after waking at 3:30 AM to sit through an airport storm and then driving 7 hours to Memphis. But I paid her just like that time I kept throwing food at that squirrel at the Arboretum to keep it from invading our picnic blanket area when Kid 1 was a baby. And I kept looking all over the world for Fireman Dave to be my helper but turns out he was really busy putting money in the parking meter while Betty and I chatted. He finally arrived about the time she was asking for all the toiletry items in my purse and eyeing my wedding ring. The good news was that my annual summer swell was in full swing and there was no way in the entire world that ring was coming off my puffy finger without surgery. The lunch meal at Cracker Barrel didn't help with my sodium count, but it did possibly save me from a vicious crime. After that I took a shower, found the complimentary bathrobe and settled into my 14th floor penthouse-like room while Fireman Dave and Kid 3 roamed downtown Memphis and saw the fireworks. Did I tell y'all this was July 4th? I celebrated the holiday with room service, some fluffy pillows and a Meg Ryan and Tom Hanks romantic comedy on TV. I love a good romantic comedy. The next day we had tickets for the 7pm show at the Grand Ole Opry in Nashville so we had just a short amount of time to explore Memphis. And when in Memphis, what's the most important thing to do? 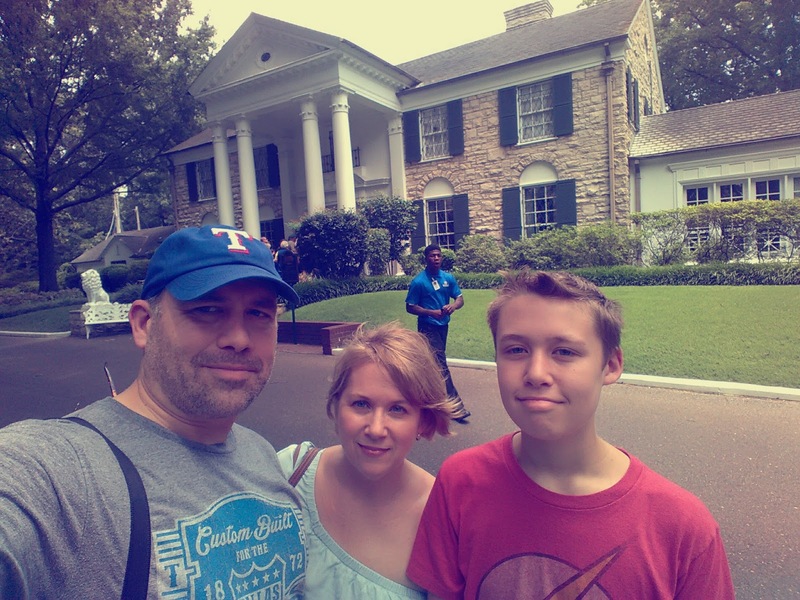 Graceland, the home of Elvis Presley. Of course. 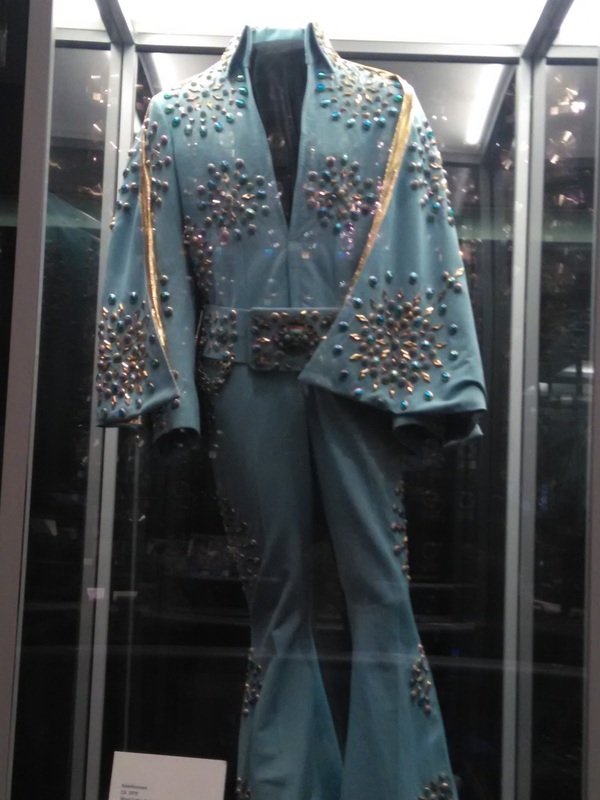 You, too, can wear a star-studded jumpsuit like Elvis. There were so many to choose from. Then we drove the 3 ish hours to Nashville and made it to our hotel in time for me to have exactly 15 minutes to transform into an Opry- going beauty. I could've benefited from additional time. And here we are at the show. The next day we found the cutest little town outside Nashville. If I ever leave Texas for any reason, look for me in Franklin, Tennessee in a beautifully restored old home with wrap around porch and boutique shopping right around the corner. We also visited a civil war cemetery and battle ground and took in a little history before I went to try on dresses in town. 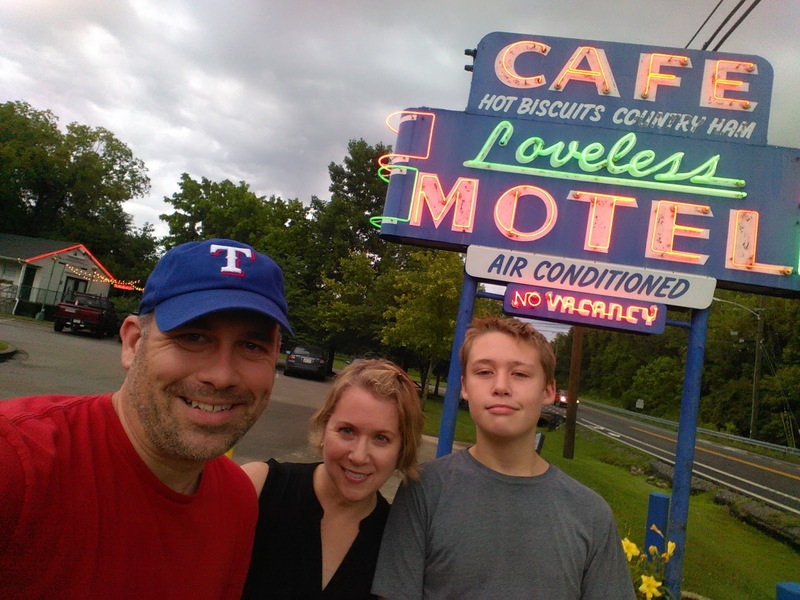 And here we are at another Nashville institution, the Loveless Cafe. Yum. You should go there if you ever get the chance. And take your picture in this cornfield that makes me and Kid 3 look like an old childless farm couple. And our last day we drove home. Oh my gosh, all the way home. Once again via Memphis where we stopped to see the ducks at the Peabody Hotel and met another homeless person, a man, poet and quite the public speaker. And y'all, I am not insensitive to the plight of the homeless. So don't leave me all manner of nasty comments below. I'm just sharing that the Memphis homeless were different than the ones in Dallas. In Dallas they just hold signs. But in Memphis, they obviously have a training program and are the world's best story tellers. Which I totally admire as I fancy myself a bit of a storyteller as well. This very nice gentleman and poet happened specialize in wedding vows. So he recited his and hers vows to me and Fireman Dave right there on the sidewalk - and I think we can count this as a vow renewal ceremony - for the bargain price of $10 - because that was exactly all I had left in my purse. Next time we go to Memphis I have to remember to bring more cash. Then we drove home and learned of the bad news here. And I wrote this. But most of all I loved having Kid 3 all to ourselves for a few days. And I think he loved it too. And what started out as a phone call making us change plans at the last minute turned out to be the best part of the trip. Funny how that happens. I slept past 10:00 Saturday morning. Vacation obviously exhausts me. I'll share details of the trip soon, y'all, but first things first. I went downtown to teach a class Friday morning, the morning after the police shootings here in Dallas. And everything seemed so oddly normal. It was just like any other day. Granted there was less traffic because certain areas of downtown were blocked off and tons of people couldn't get to work, but the parts that were open? Totally like nothing happened. I always find that difficult to understand. And so hard to accept, how the world keeps turning after something bad has happened. Isn't everyone supposed to feel the same kind of sadness that I feel? I always think it should, but it never does. That's always been a hard lesson. To keep living and moving on after surprises change my plans. Notice how I said MY plans? That may be a big part of the problem. We were driving home from our trip Thursday night, with no idea what was happening at home. It was dark, way past my bedtime, and home still seemed a million hours away. And I was the only one who had to get up and be somewhere the next day. So I reclined my seat, laid down on a pillow listening to whatever Fireman Dave had on the radio, and heard an oldie from my younger days. Think 1980's synthesized love songs. I can still picture the Kristi from back then, how she wore a size 4 and was the queen of the summer tan. I remember the places and the temperature of the summer nights and how we didn't get eaten alive by mosquitoes back then in Dallas. And I remember the music on the radio - which may or may not have been background music for some quite memorable teenage romances. Ok, it was make out music. We all know it. But this time, in the car Thursday night with two of my favorite people in the world, it was the hand of Kid 3 that I was holding. And I thought about my then and now and how much more I like my now. And I thought about how, so many years ago, I could've never imagined how things would turn out this many years past my little frame of understanding. And y'all, it makes my brain confused to try to count the twists and turns that have been, in the way that only God can, arranged and choreographed, shaped and sorted, for me to either experience or skip, to get me here. So when I worry, as I tend to do, I now have a perfect example of how time can change everything. Thank you Kid 3 for channeling your inner angel for me Thursday night. Mama crazy loves you. Y'all, my hope is that wherever each of us falls in the debates over our current condition of humanity, that we'll allow ourselves to be surprised by grace; lifted by the hope of the good that is all around; and willing to see and trust the beauty of time in all it's power.